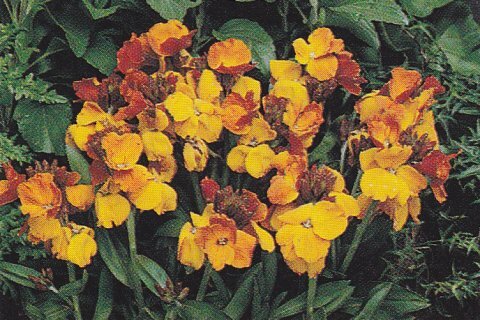 Evergreen perennial with cross-shaped flowers and heart-shaped leaves that flush red in spring and autumn. E. x versicolor 'Cupreum' Has coppery orange flowers. apply a liquid feed monthly. Mulch with leaf-mould in Autumn. Remove the old foliage in spring to allow the new growth to show through. 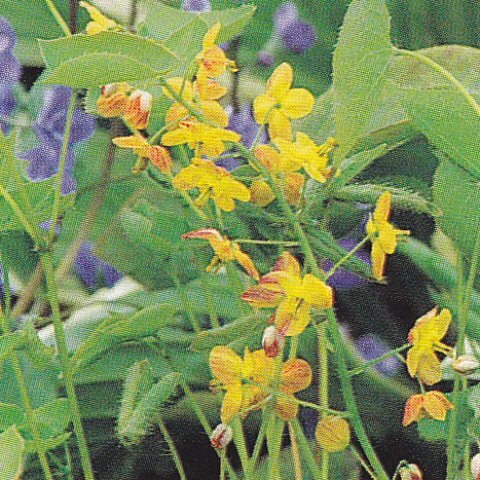 A biennial sub-shrub with lance-shaped leaves and clusters of sweetly scented, four-petalled flowers. E. hieraciifolium (syn. E. x allionii) Tall species with brilliant orange flowers with hairs on the backs of the Petals. Cultivation: Plant in early autumn into a free-draining, neutral to alkaline compost and site in full sun. Water moderately. Feeding is unnecessary. 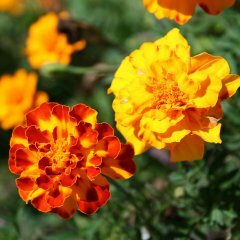 Pinch out the growing tips after planting to encourage bushiness. Prone to club root and root rot. orange flowers with petals shading to white at the base. if cold weather is severe or prolonged. Water moderately. Feeding is unnecessary. Remove spent flowers. 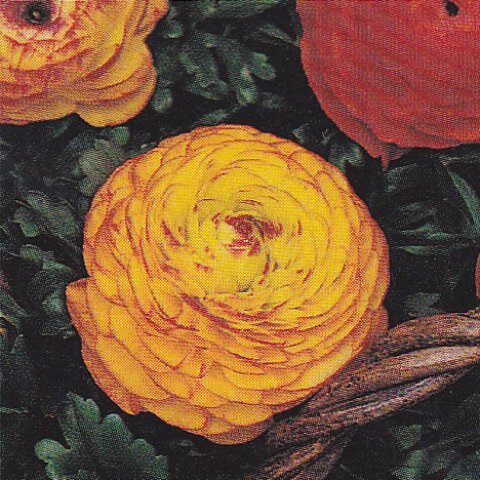 Bulb producing large, cup-shaped flowers with purple feathering on the outer petals. with a pale yellow base. 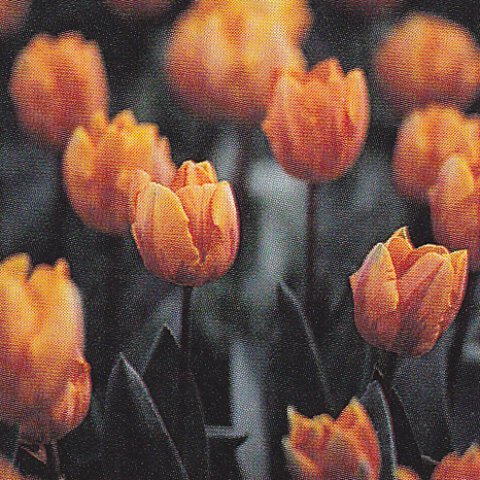 T. 'Orange Favourite' The flowers have finely and irregularly cut petals. growth, water moderately. Remove spent flowers.